I have been corresponding with Paresh for some time now and have repaired and restored two of his pipes and sent him others as well. We carry on conversation via WhatsApp on the internet and discuss the various pipes he is purchasing as well as ones that he has inherited from his grandfather. This is the second pipe he sent me from India to work on. It took a long time to arrive. When it did it appeared as shown in the photos below. It was stamped with what looks like the word Der on the left side of the shank. There is no other stamping on the pipe. The mortise is lined with a brass tube. The wood is either fruitwood or some other hardwood. The stem is plastic and has a brass spacer on the end of the tenon. When Paresh was cleaning the pipe a pipe cleaner was stuck in the airway in the stem. The tenon was quite small and thin and had a slight bend in it. I heated it with a heat gun to soften the stem – nothing happened no how long I heated it. The stem was hard and immovable. I decided it had to go. It was hard and very small in diameter. To me it would have been very uncomfortable in the mouth. Paresh says the pipe smokes very well. I took a close up photos of the rim top and the stem. The bowl is quite small with a diameter of 5/8 inches. The airway is well drilled and comes out the bottom of the bowl. The plastic stem is shown in the second and third photos. It was in decent condition with little or no bite marks or chatter. The only thing wrong with it was the broken pipe cleaner in the airway of the stem. I went through my can of stems and found one with a tenon that was the right diameter and that would work sitting against the shank. It was a saddle stem so it was slightly different from the taper that had been there. It also had a flat blade portion of the stem and was wider than the original. It was more comfortable than the previous stem. I sanded the scratches and marks out of the surface of the stem. They were on the saddle portion and the blade. I used 220 grit sandpaper and worked over until the surface was smooth. The tenon still had scratches that needed to be worked out but the fit was very snug. I polished the stem with micromesh sanding pads. When sanding Lucite it is important to wash the pads repeatedly to remove the fine sanding dust that otherwise clogs the pads. I wet sanded it with 1500-2400 grit pads and wiped it down with Obsidian Oil. I used a heat gun to put the same bend in the stem as was in the original one. I dry sanded with 3200-12000 grit pads. I wiped the stem down after each pad with Obsidian Oil. I polished the stem with Before & After Pipe Stem Polish – Fine and Extra Fine to remove the tiny scratches in the surface of the rubber. I gave it a final coat of oil and set it aside to dry. I set the new stem aside and scrubbed the bowl with Before & After Restoration Balm to clean and enliven the wood. I rubbed it into the wood with my fingers and let is it sit for a few minutes. I wiped it off with a cloth and buffed it lightly with a shoe brush. With the new stem reshaped and polished I put it back on the pipe and buffed the bowl and stem with Blue Diamond to polish out any remaining scratches. I gave the bowl and the stem several coats of carnauba wax and buffed the pipe with a clean buffing pad to raise the shine. I hand buffed it with a microfiber cloth to deepen the shine. The pipe polished up pretty nicely. The finished pipe is shown in the photos below. 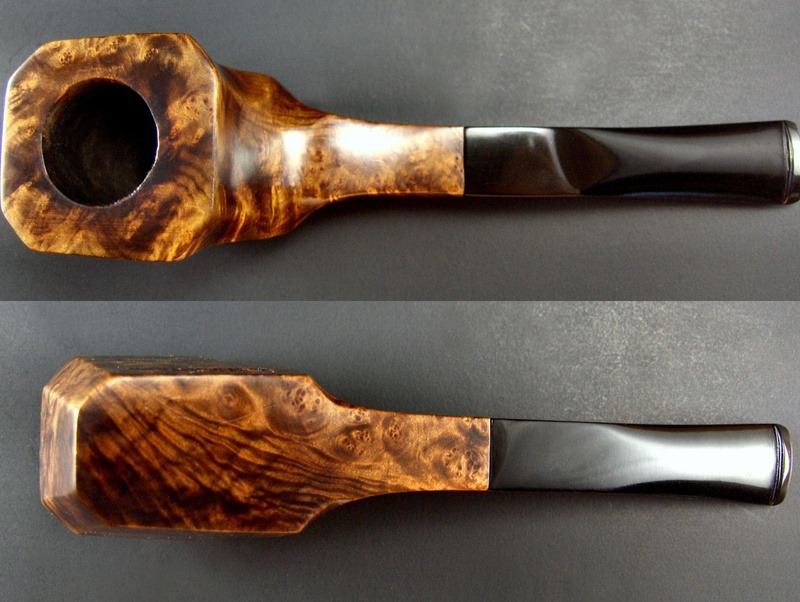 This is the sixth pipe I have worked over for Paresh. Once I finish the last one of the pipes I will pack them up and send them to India. I look forward to hearing what he thinks once he has them in hand. 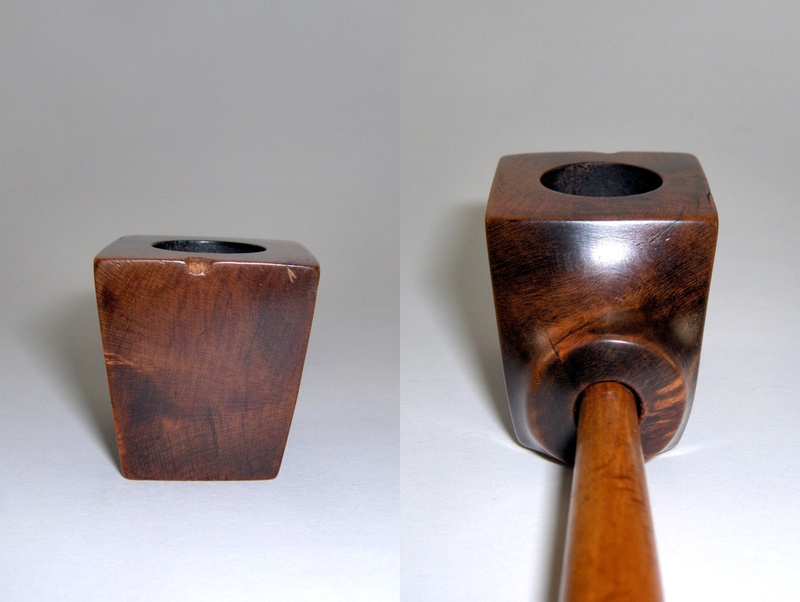 Thanks for walking through the restoration of this alternative wood pipe. It was straight forward and simple but interesting nonetheless. This entry was posted in Pipe Refurbishing Essays and tagged Alternative wood pipes, Der Alternative Wood pipes, finishing, fitting a stem, micromesh sanding pads, Oxidation, pipe refurbishing, polishing, polishing a stem, polishing stems, refurbishing, removing oxidation, restemming, restemming a pipe, sanding a stem, shaping a stem, Stem repairs, stem work, turning a tenon, vulcanite, waxing, waxing a stem on February 10, 2018 by rebornpipes. Bringing an older 1890s Era Spiral Shank Horn Stem Billiard back to Life. My brother Jeff visited an antique mall in Montana on one of his recent trips and found a lot of older pipes from the 1890s era. 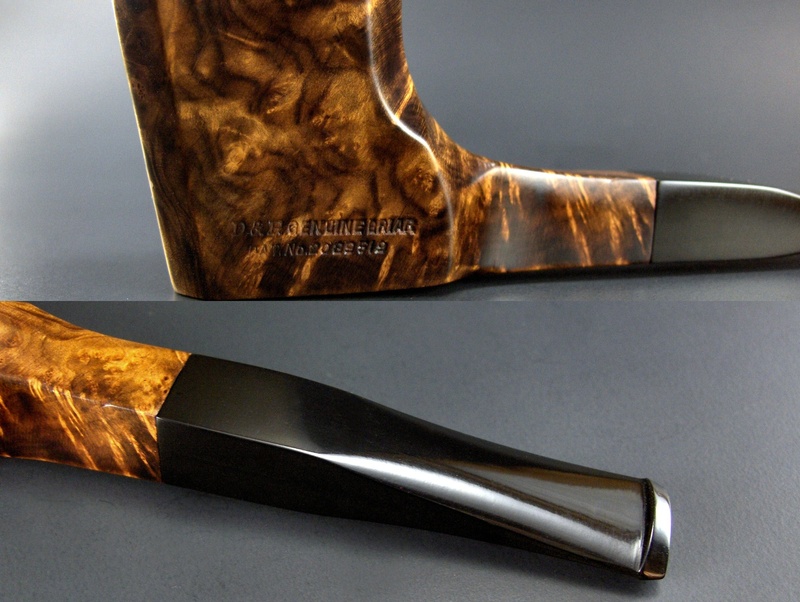 There were CPF, WDC and other older brand pipes with amber and horn stems. I wrote about how we used Apple Facetime so that I could be present on the hunt. It was an amazing time “in the shop” for me. The link to the blog on this hunt follows: https://rebornpipes.com/2017/04/26/a-virtual-pipe-hunt-a-new-way-to-experience-the-joy-of-a-pipe-hunt/. The first pipe that I chose to work on from the hunt was the one picture below. My brother took the following pictures of the pipe before he cleaned it up to send to me for finishing. It is a unique and interesting old pipe. The spiral shank continues through the horn stem. The finish on the bowl was worn and tired but the spiral shank and stem were undamaged. There was one deep “worm hole” in the left side of the stem in the bottom of a spiral that would need to be repaired but otherwise it was in pretty decent shape. The photos show the overall condition and look of the pipe. Whoever carved it remains a mystery as there is no stamping on the shank or bottom of the bowl. It is unmarked so it is one of those unknown pipes. The difference is that this is not a homemade pipe it has the marks of a good pipemaker and the drilling is perfect from the stem forward. The bowl was lightly caked and the rim had a tarry overflow on the top. The inside edge of the bowl was in great shape as far as I could see from the photos. The outer edge of the top had been knocked about enough that there was some damage and wear to it. The next two photos show the rim top and bowl. The finish on the outside of the bowl is worn and there are a lot of dents and dings in the surface of the wood. The photos lead me to wonder what kind of wood the pipe is made of because of the way the damaged rim looks. The next photos show the condition of the stem and the drilling in the button. The spiral continues from the shank through the stem seamlessly. The second photo shows the worm hole in the horn stem. It is deep but clean and the areas around it are undamaged. The junction of the stem and the shank is very tight and clean. The transition from wood to horn is smooth to the touch. The last photo shows the orific button on the end of the stem. It is clean, round and centered in the end of the crowned button. This older style button helps me date this pipe as early as I do above. My brother did his usual job reaming and cleaning the pipe. He reamed the bowl with a PipNet reamer and cleaned it with a Savinell Fitsall Pipe Knife. He scrubbed the internals with alcohol, cotton swabs and pipe cleaners to remove the grime in the mortise, shank and airway in the stem and shank. He scrubbed the exterior with Murphy’s Oil Soap and was able to remove all of the grime on the bowl sides and rim. The pipe came to me in great condition. I took a close up photo of the rim top and stem to show their condition more closely. The rim top was worn and there were some spots on the edges that had slivered. The rim would need to be topped to smooth things out and remove the damage. The stem photos show the tooth damage on the top and underside at the button and the “worm hole” in the left side near the shank. I wiped down the area around the hole in the left side of the stem with a cotton swab and alcohol and dried it off. I layered in several fills of clear super glue into the hole. As each layer dried I added more glue to the top of the hole repair. I continued until the file was slightly overfilled then sanded the areas smooth. While waiting for each layer of glue to dry I worked on the rim top. I topped it lightly with 220 grit sandpaper on a topping board to smooth out the damage to the rim. I took enough of the damage off to leave the rim top smooth to the touch. I wiped down the bowl with acetone on a cotton pad to remove all of the finish that remained on the bowl. I kept wiping it down until no more stain would come off and the bowl was clean. I could see once it was clean of the stain that the wood was not briar. I was dealing with what appeared to be walnut. It was extremely light weight and the grain was very different from what I expected once the stain was gone. I restained the pipe with dark brown aniline stain and flamed it to set the stain deep in the grain of the wood. I repeated the process until the coverage is acceptable. I put the stem back on the shank and hand buffed the stain with a soft cloth to show what the pipe looked like at this point in the process. The first photo and the last show the repair to the hole in the stem. It is smooth once again. I polished the bowl with 1500-12000 grit micromesh sanding pads. Each successive grit made the walnut bowl shine more and made the stain more and more transparent. I polished the horn stem with micromesh sanding pads – wet sanding with 1500-2400 grit pads and dry sanding with 3200-12000 grit pads. I rubbed the stem down with Obsidian Oil after each pad and when I finished the last pad I gave it a final coat of oil and let it sit and dry. I turned the bone tenon on the stem into the threaded mortise on the shank. I buffed the pipe with Blue Diamond on the buffing wheel to raise a shine. I gave the bowl and stem multiple coats of carnauba wax and buffed it with a clean buffing pad to raise the shine. I hand buffed the pipe with a microfibre cloth to deepen the shine. In the first photo you can see the repair on the lower portion of the horn stem. It is a slightly darkened spot but it is smooth to the touch. Do any of you recognize the style or work on this old pipe? Can you tell me any information regarding the maker or the era? Do you think I am in the ball park with a late 1890s date? What do you think? Thanks for the help ahead of time and thanks for walking with me through this restoration. This entry was posted in Pipe Refurbishing Essays and tagged Alternative wood pipes, bite marks, Bowl - finishing, Bowl - refinishing, bowl topping, Bowls - refinishing, contrast staining, finishing, horn stem with an orific button, micromesh sanding pads, old alternative wood smoking pipes, Oxidation, pipe refurbishing, polishing, polishing a stem, refinishing, refurbishing, removing tooth marks, repairing a worm hole is a horn stem, repairing bite marks, restaining, restaining a bowl and rim, sanding a stem, shaping a stem, spiral shank walnut pipe with a spiral horn stem, staining, Stem repairs, stem work, super glue, topping a bowl, using super glue to repair a worm hole in the stem, walnut smoking pipes on June 24, 2017 by rebornpipes. 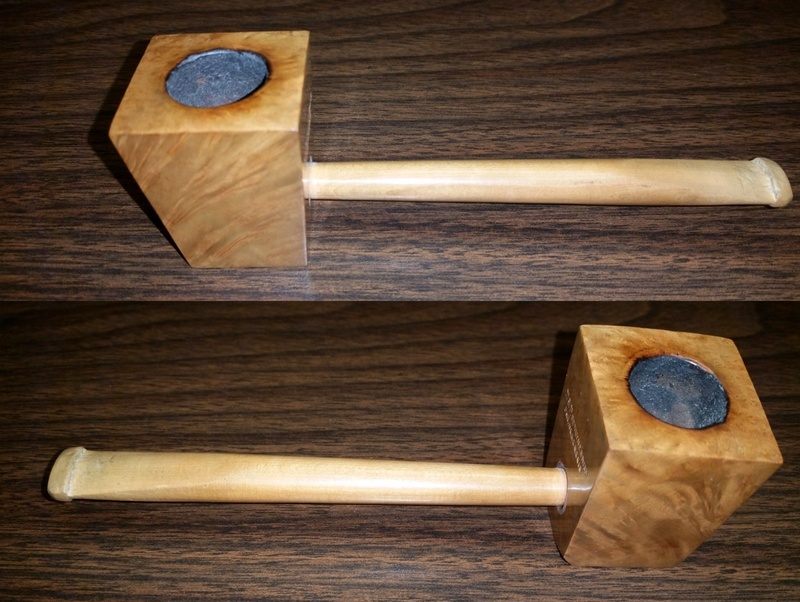 My brother Jeff found this handmade Black Walnut pipe on one of his eBay shopping forays. He loves the hunt for pipes and has a habit of finding some unique pieces for me. One of the beauties of having him picking up pipes for me is that he always finds stuff that I would never even look at. This was one of those that I would not even have looked at. But I am glad that he did. It is actually a beautifully made pipe that is a single unit – the stem is integral to the body of the pipe. The delicate curves of the bowl and shank make maxim use of the grain pattern in the wood. The bowl is drilled lower than the entrance of the airway into the shank and obviously the carver used a regular wood drill bit as there is a pilot hole at the bottom of the bowl. The drilling of the airway follows the curve of the stem and shank into the bowl. It enters the bowl about 1/8 inch above the bowl bottom. A pipe cleaner passes easily through the stem/shank to the bowl. The draw is very easy and it is quite open. There is not a button cut on the end of the stem, rather it comes to a sharp end and a round opening in the end. The top of the bowl is also really well done and for a hand shaped pipe it is quite round. The bowl walls are quite thin. The pipe remains unsmoked. I sanded the natural finish with micromesh sanding pads from 1500-4000 grit. I cleaned up some of the sanding marks that remained on the finish. I gave the bowl multiple coats of carnauba wax and buffed it with a clean buffing pad on the wheel. 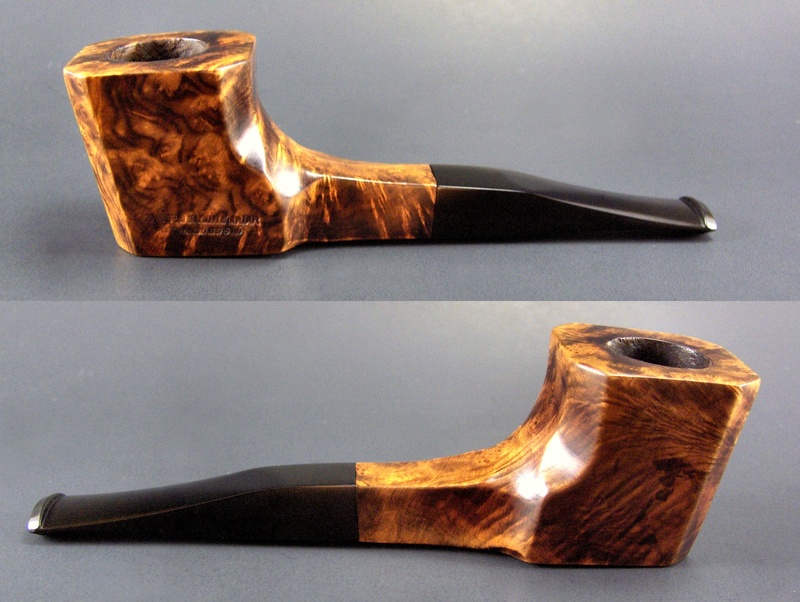 The grain began to pop even more with the shine and the curves of the pipe followed the grain in an amazing way. The anonymous pipe carver did an amazing job carving this one and using the best lay of the piece of wood. The finished pipe is shown in the photos below. I did a bit of hunting on the web and I am pretty sure that the pipe is walnut. Do any of you have any other ideas what it is made of? Thanks for looking. This entry was posted in Pipe Refurbishing Essays and tagged Alternative wood pipes, Black walnut pipes, Bowl - finishing, Handmade one piece pipes, Handmade Walnut pipes, micromesh sanding pads, polishing and buffing, refurbishing, Unique shaped walnut pipes, Walnut pipes on April 8, 2016 by rebornpipes. I love old pipes with stories to tell and I recently acquired a couple of very unique, American-made pipes that appear to fit that bill nicely. For those of you unfamiliar with the brand and the pipes (and I’m betting that’s the most of you), let me make the introduction. Meet the D&P Spartan… Spartans were made from 1942 until at least 1945. The majority of them were produced for distribution to U.S. troops overseas during WWII, but some were available domestically as well. The pipe pictured above is one that I acquired and it was probably made in mid-to-late ’43. The stem is made from maple, and although the bowl is stamped “GENUINE BRIAR”, that’s not really true. It’s most likely mountain laurel and possibly even rhododendron (they made do with what they had on hand when briar was tough to get during the war). The stamped patent number (2089519) on the side of the bowl refers to a method of curing wood with boric acid for better heat resistance. The shape of the Spartans evolved during the course of production. The earliest were simply a wood block with a hole drilled for the tobacco chamber and another on the backside that the stem fit into. 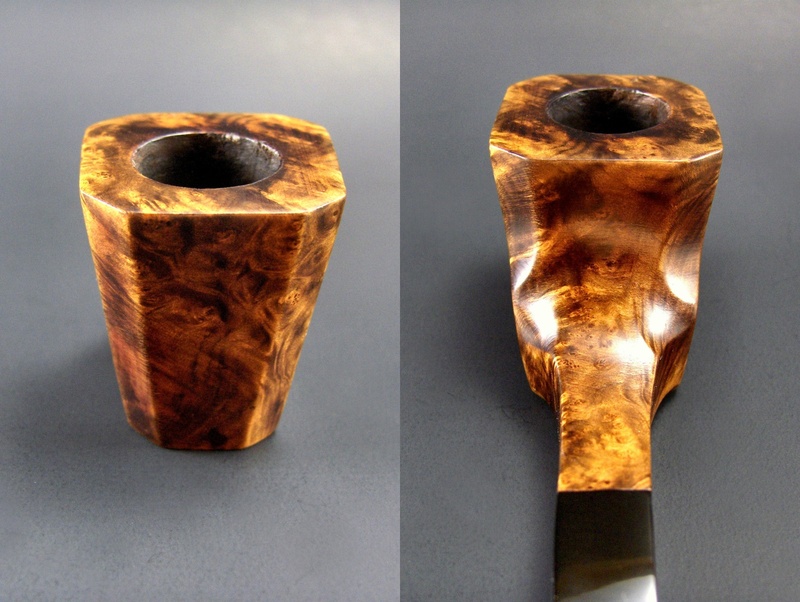 It’s very similar to the design of a cob pipe. Those were made from 1942 to mid-1943. 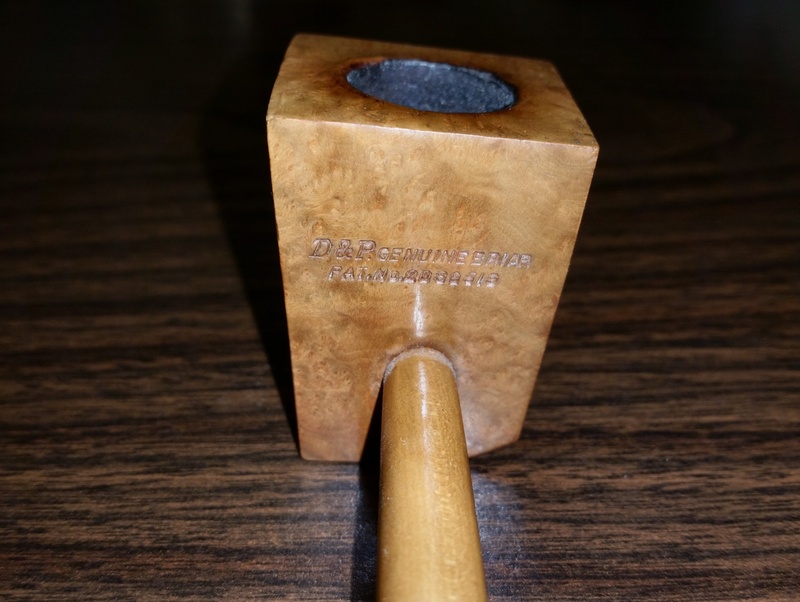 I don’t have one of this design on hand, but Tim (oldredbeard) from the Dr. Grabow Collector’s Forum, graciously sent me a couple of photos of one that is in his collection. Notice that Tim’s pipe has the same patent stamp on the bowl as the one pictured above it. The patent was issued in March of 1943. So, this pipe is probably from one of the last production runs for this design. Sometime around mid-1943 the design of the Spartan was changed. The new version was slightly less utilitarian and added a few aesthetic curves to the back of the bowl. It also grew a nub of a shank and utilized a patented (1888462) pressure fit for the stem. My mid-to-late ’43 Spartan is an example of this design. The design was again changed near the end of the war. I suppose the idea was to give it more appeal as D&P began to rely more on the domestic market. The new look was more traditional, but still rather roughly shaped. The paneled bowl received a few more angles, the shank was further extended, and the maple stem was replaced with one of vulcanite. The second Spartan that I picked up is an example of this design. It would have probably been made somewhere around late-’44 to ’45. I’m not aware of any further changes to the design, and in fact, I don’t believe that D&P continued to produce Spartans for very long after the end of the war. D&P was created in 1942 by David and Paul Lavietes. They were, respectively, the brother and father of Henry Lavietes who was part owner of the better known HLT located in Ozone Park, New York (Henry was the “H”). David Lavietes was also the inventor of the “Ajustomatic” stem fitting. Originally, D&P was a sawmill and basically a supplier for HLT. They were located in Boone, North Carolina and purchased mountain laurel locally, which they then cut into blocks to be shipped to Ozone Park to be made into HLT pipes. I’m not sure, but I don’t believe that the D&P stamped pipes were ever sent to HLT. I think that they were carved in North Carolina. In 1944, D&P relocated the sawmill to Sparta, North Carolina and HLT relocated there soon after. In the early ‘50s, D&P became known as the Briarshop. They continued to carve blocks for HLT, although they were located in a different building and still regarded as a separate company. I’ve found no evidence that they ever again marketed pipes under the either the D&P or Briarshop names. 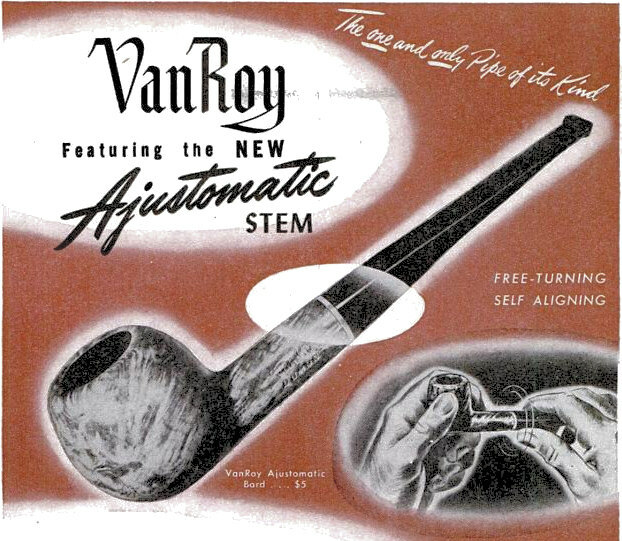 In 1953, HLT acquired the name and assets of the Dr. Grabow Pipe Company. The Briarshop ceased to be a separate company somewhere within the same timeframe and was rolled into HLT. The operation still produced stummels, but now they were doing it for both the HLT and Dr. Grabow brands. HLT has since ceased to exist, but Dr. Grabow pipes are still being made to this day in Sparta, North Carolina. So, there you go. A couple of old pipes with stories worth telling. To me it doesn’t get much better than that. I’d like to give special thanks to Dave Whitney and Tom Douglas for helping me put all of these pieces together. Sometimes, things get a little muddy out there in Sparta. Also, thanks to Tim for providing me with photos of a 1st-gen Spartan. You know where to reach me when you’re ready to let it go, Tim. You’ll notice that the ’42 and ’45 ads refer to both Boone and Sparta. This leads me to believe that the Sparta location was part of the D&P operation from the beginning. When D&P relocated in ’44 it must have been a headquarters move only. The Boone location appears to have remained in operation after the move, but I have no idea for how long. I’m going to do some more digging around Boone and see what turns up. 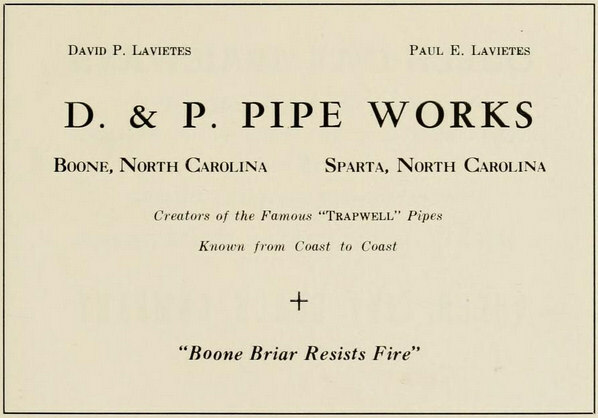 This entry was posted in Pipe and Tobacco Historical Documents, Pipe Refurbishing Essays and tagged Alternative wood pipes, Anthony Cook article, article by Anthony Cook, Briarshop pipes, D&P pipes, D&P Spartan Pipes, HLT pipes, Mountain Laurel pipes, Spartan Pipes on July 9, 2015 by rebornpipes. Over the years I have kept this interchange between Robert Perkins and Mike Leverette on my hard drive on the computer. I found it enjoyable and educational at the same time. I wrote Robert and asked for permission to pass this interchange on to readers of this blog. Robert Perkins is a pipe maker http://www.RMPerkins.com and Mike Leverette was a friend and mentor to me with regard to the pipe and its history. There is not a day that goes by that I do not think of Mike and wish I could give him a call. You see, when imported briar started getting scarce during WWII, US pipemakers started looking for alternatives, and they were basically split into two camps: those who started using manzanita and those who started using mountain laurel. 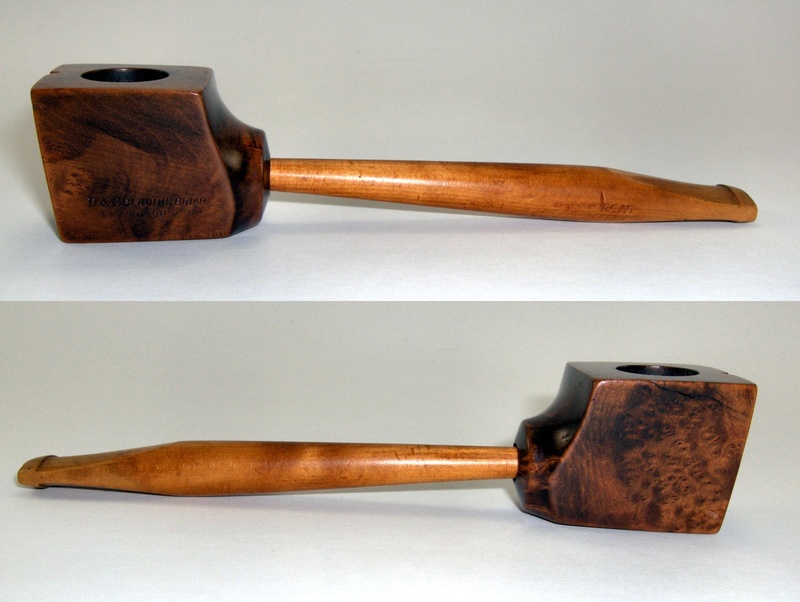 Ever hear of a pipemaker called Breezewood? Well, Breezewood was one of the companies using mountain laurel as a substitute for Mediterranean briar, just like Monterey Pipes was one of the companies using manzanita, or “Mission Briar”. Breezewood quietly closed its doors after the war because, as it turns out, all parts of the mountain laurel (Important: Not Manzanita) are “dangerously poisonous“. Mountain laurel contains a powerful neurotoxin that, when ingested, causes convulsions, paralysis, and death within a matter of about six hours. And somewhere along the way — I’m guessing way too late in the game for some — folks using mountain laurel as a substitute for Mediterranean briar figured this out. I’m just gonna bet money that people started getting sick, maybe even dying: people growing and harvesting mountain laurel, people in pipe factories breathing all that mountain laurel dust, and possibly even folks who smoked those mountain laurel pipes, later on down the line. People caught on. Maybe there were even some items in the news. And suddenly US pipemakers couldn’t put enough distance between themselves and mountain laurel pipe production fast enough. 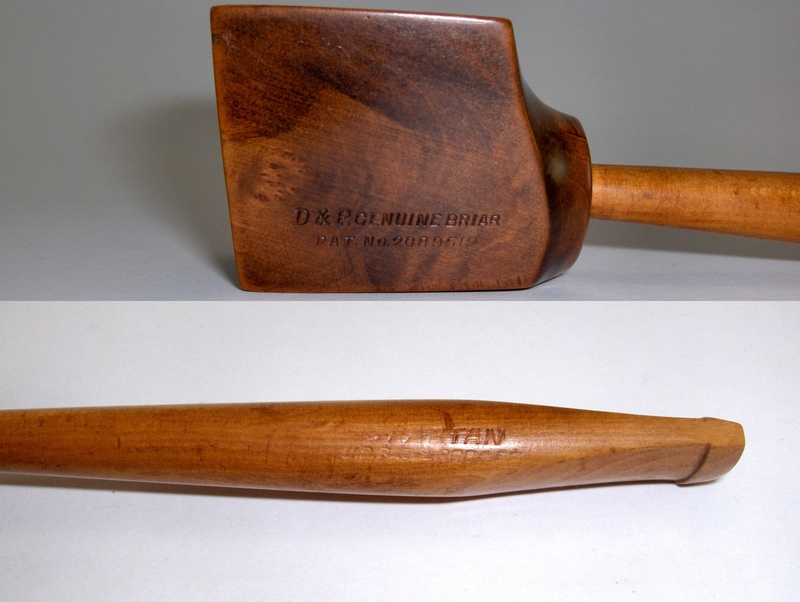 The phrase “Imported Briar” became all the rage, and never again did US pipemakers attempt to grow or harvest briar — any kind of briar — ever again. Just for the sake of reference, though, I should point out that nearly every single product on the market, right up until the 70s contained lead, asbestos, and so on. Heck, doctors used to put mercury thermometers in our mouths and not think a thing about it. A lot of this stuff, we just didn’t know any better. But anyway, manzanita got caught up in all of this mess. It’s not poisonous, and it makes a fine smoking pipe, but who would want to take the risk, after that mountain laurel fiasco, huh? You see, it’s kinda like mushrooms and toadstools. Nobody wants to pick mushrooms when there’s the significant risk that you might pick a few toadstools by mistake. Why not just make soup and let other people worry about which one is a mushroom and which one is a toadstool? * and after the war, the use of manzanita briar ended and the phrase “Imported Briar” became popular because US pipemakers had to disassociate themselves from the wartime practice of using mountain laurel as a substitute for Mediterranean briar. So what do you think? Does that sound plausible? And where is my deerstalker hat and my calabash pipe? I think I deserve a smoke. When briar was first used for pipes, everyone heralded it as the ultimate pipe wood and actually went wild over briar. 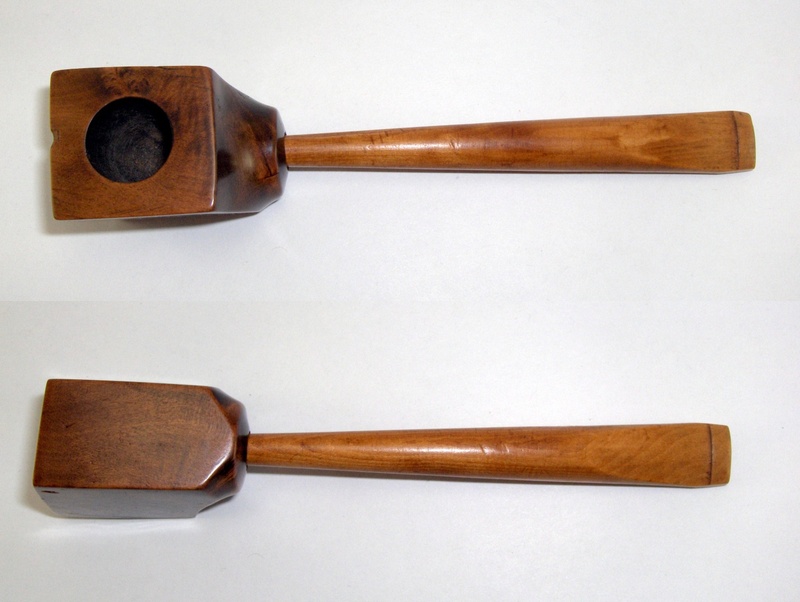 In less than ten years from the first English maker to use briar, there were over a dozen briar pipe makers in London alone and all exclaiming the virtues of briar. Even the great salesman, Alfred Dunhill, exclaimed over the properties briar. So I believe everyone has, more or less, become brainwashed that briar is the only wood worth using for pipes. Surely, it is a great wood for pipes which I cannot say anything against but there are other great woods out there as well. We have been told many times over the past decade or so that briar is best for pipe making because it is A) ‘fire resistant,’ it is B) ‘very hard wood,’ it has C) ‘extremely tight grain,’ etc. A) “Fire Resistant” – briar is wood and wood burns; there is no ‘fire resistance’ to it! B) “Very hard wood” – yes it is hard, yet there are many woods out there which are harder per any hardness scale one wishes to use. C) “Extremely tight grain” – again I agree. Briar has some tight grain, interesting grain and even beautiful grain. Yet there are woods out there with just as beautiful grain as briar. The two alternative woods mentioned in this topic, manzanita and mountain laurel have been used for centuries, first by the American Indian and then the pioneers. Mountain Laurel was a favorite pipe making wood of soldiers on both sides during the War of Northern Aggression. Yes, before you ask, there were more wood pipes smoked in that war than clay pipes. Actually, the soldiers would make pipes from any wood handy but preferred mountain laurel. I am sure that the local population were using briar long before the fabled pilgrimage to Napoleon’s place of captivity, or was it his birth place? A very interesting article on pipes of other woods is Ben Rapaport’s article “Un-Briars: The Antecedents of Erica Arborea,” Spring 2001 issue of “Pipes and Tobaccos” in which Ben lists 29 different woods used for pipe making through the centuries. Anyway, to stop preaching and return to the topic, brainwashed is too harsh a word for here but we have been treated to literature, word-of-mouth, etc about briar being the best and only wood for pipes to the point that immediately after WWII, everyone hasten to get briar pipes back on the market; hence forgetting about the two war-time substitutes. I wrote the above two days ago while waiting to be activated. During this time I have heard another pipe smoker state that he thought the pipes made from the two alternative woods, manzanita and mountain laurel, were placed into production so fast (because of the sudden stoppage in briar supply) that they were not cured properly which led to pipe smokers having problems with the pipes made from these woods. Therefore, the pipe smoking community of that day wished only for the imported briar after the war. This also makes a lot of sense! This entry was posted in Pipe and Tobacco Historical Documents and tagged Alternative wood pipes, Manzanita wood pipes, Mike Leverette, Mountain Laurel pipes on November 5, 2012 by rebornpipes.